Whether you plan on hiking along the Appalachian Trail or want to go snorkeling in the Caribbean, the best tactical watches will beat the latest and greatest smart watches that are on the market today. Without relying on a daily charge, some of the best tactical watches can withstand a ton of damage before they even come close to not working properly. Therefore, if you want a watch that should last you for the rest of your life, then a tactical watch is going to be well worth the investment. So, what makes a tactical watch so unique from your standard casual watch? The type of glass used on watch faces can vary drastically in grades. When it comes to glass grades, higher priced models will usually come equipped with better glass. Each of the above types of glass grades can have their own unique advantages and disadvantages. With acrylic, being that this is plastic, it will be incredibly cheap. 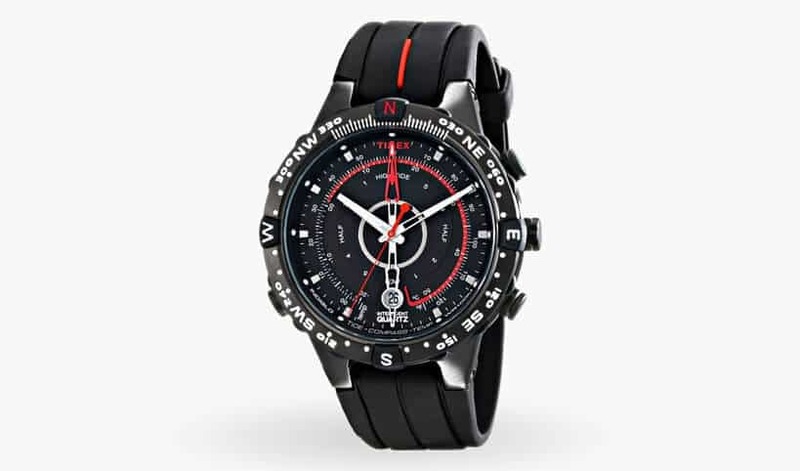 Therefore, if you are looking for a budget tactical watch that is under a $50 price tag, expect most of the faces to be made from this element. A big downfall of acrylic however, is that it can be scratched rather easily – which makes it a bit tougher for a tactical watch to be truly ‘tactical’ in nature when out in the field. 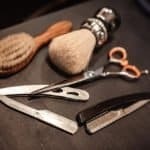 As susceptible as the face may be to scratches when it comes to acrylic, it can be buffed out rather easily. A little bit of acetone on a paper towel will usually be a home remedy that should get the job done. The next grade up is mineral crystal. Crafted from glass instead of plastic, mineral crystal will be an incredibly tough surface and is well worth the extra money. This type of glass that is used on tactical watches is resistant to scratches, however, it isn’t fully immune to them. In addition, since the face is glass, a deep scratch will remain on the face of the watch for its entire life. With its increased scratch resistance, mineral crystals will be preferred over acrylic faces when in the field while doing more strenuous activities. Crystal mineral watches will typically cost anywhere around $50 to $150. The hardest surface you can get for a watch glass is going to be sapphire. 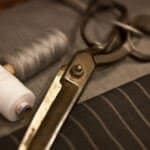 So just how hard is sapphire? It’s the 3rd hardest mineral on the Mohs scale – the only other minerals that beat it out for hardness is diamond and moissanite (source). To put it simply, sapphire is tough. Only the best tactical watches on the market will use sapphire given its rarity. Therefore, if you plan on buying a watch to last a lifetime – then you simply can’t go wrong with a watch constructed of sapphire glass. Besides, what’s the point of getting a tactical watch with all the bells and whistles if it’s going to scratch easily and you can’t even make out what time it is?! 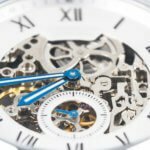 When doing research on tactical watches, you will see several terms that will have you heading Google every two seconds. 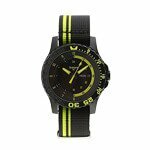 Tritium: If you plan on deep sea diving, cave exploring, or simply are in dark environments for an extended period of time, you will want a watch that makes use of tritrium. Naturally found in hydrogen (3H), is a radioactive material that gives off a bright glow when encased in the glass tubes found on the watch face. Unlike some watches that require light exposure in order to attain a glow when in a dark environment, a watch containing tritrium on the face will always glow (day or night). This not only gives off an entrancing effect, its utility is undoubtedly favored by those in low light situations. Tritum on average will sustain its glow for about 10 to 20 years. Water Resistance (M/FT): An important mark that you will always see proudly displayed either on the watch face or backing will be the words ‘Water Resistant’ or ‘Water Resist’ and a specified length (i.e. 200M or 500FT). There is a very important caveat to this number. This is a resistance number, therefore, a watch rated at 200M doesn’t necessarily mean that it will perform down to 200 meters when swimming in the ocean continuously. This just simply means that its rated to withstand the pressure of water seeping in, but not to make it a daily habit as the seals on the watch will likely breakdown with continued use. Divers Watch: Contrary to the water resistance rating listed above, diver’s watches are rated (ISO 6425) and can be exposed to water regularly. Therefore, if you see a divers watch rated at 50M, this means that you can go to a depth of 50 meters day after day, without fear of your watch seals failing. 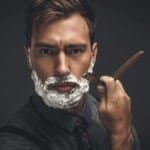 Diver watches do tend to carry a slightly higher price tag, and are more apt for men who plan on always being in the water via snorkeling, scuba diving, or are doing laps at their local swimming pool. Altimeter: If you plan on hitting the backcountry and want a way to track progress on hiking or climbing, a watch equipped with an altimeter will be a welcomed addition. While not exactly a GPS, altimeters rely on the air pressure to gauge your current elevation. Naturally as you go higher up a mountain or trail, the air will get thinner. This is helpful when going on extended hikes to chart your progress against the current time to ensure that you don’t get stranded in the woods for the evening. An added benefit to a watch with a built-in altimeter is that you don’t have to ‘recharge’ your watch like you would a GPS handheld navigator in order to get a accurate reading on the current altitude. Watches featuring an altimeter will usually also have a barometric pressure reading as well. This added feature will allow you to track the current weather and if an impending front may lead to a rainy and muddy outdoor adventure. Note: slide table left and right for additional watches. 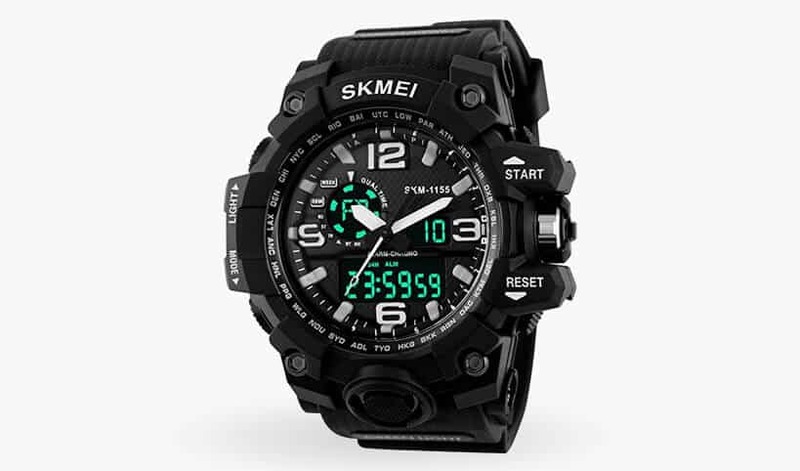 From the highly respected watch manufacturer, Casio, comes this wonderfully designed military inspired watch. 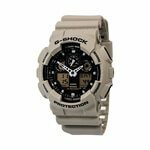 Able to withstand some of the toughest conditions, this tactical watch is great for men who are looking for a highly respected and reviewed watch while not completely breaking the bank. With its mineral crystal face, your watch should remain safely in tact whether you plan on hitting the backcountry hard, or are simply experiencing rugged conditions in your day-to-day life. With a water resistance rating at 200M, you should will be able to safely expose this watch to water on an irregular basis. 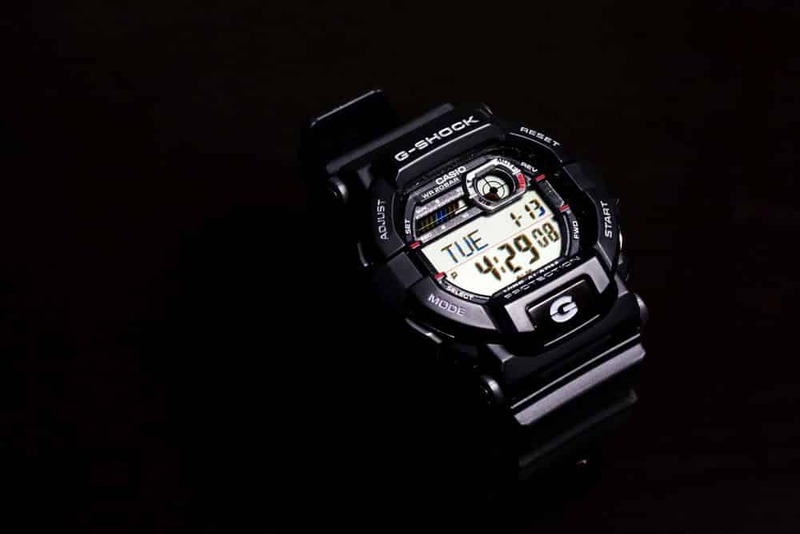 As mentioned by G-Shock, this watch isn’t a diver’s watch, therefore it won’t be suited for regular scuba diving adventures. Time is tracked with a Japanese quartz mechanism that will require batteries to operate. In addition to the time, this watch does also feature a stopwatch that can track down to the 1/1000th of a second for precise accuracy. 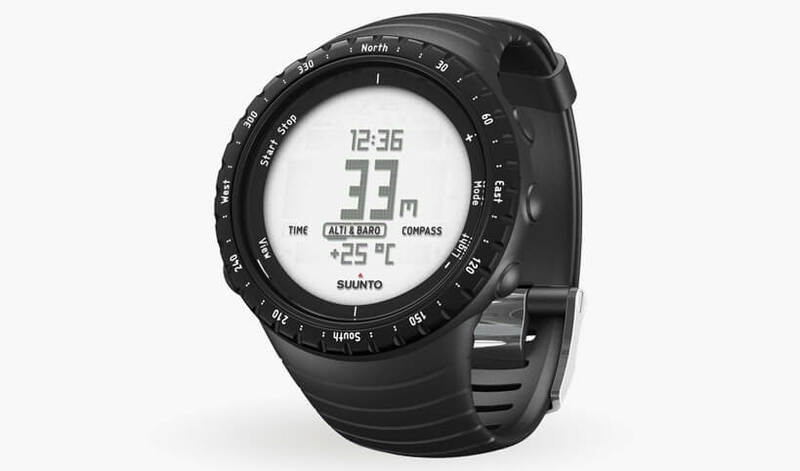 This wristwatch by the Finnish based Suunto, is the Suunto Core. 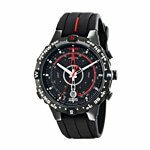 A great watch for the tactical man, its geared squarely at someone who is looking for a watch that lies somewhere between a traditional analog quartz based watch and a full-blown smart watch. Unlike a smart watch, the Suunto comes packed with a 12-month battery that won’t leave you needing to charge on a nightly basis. 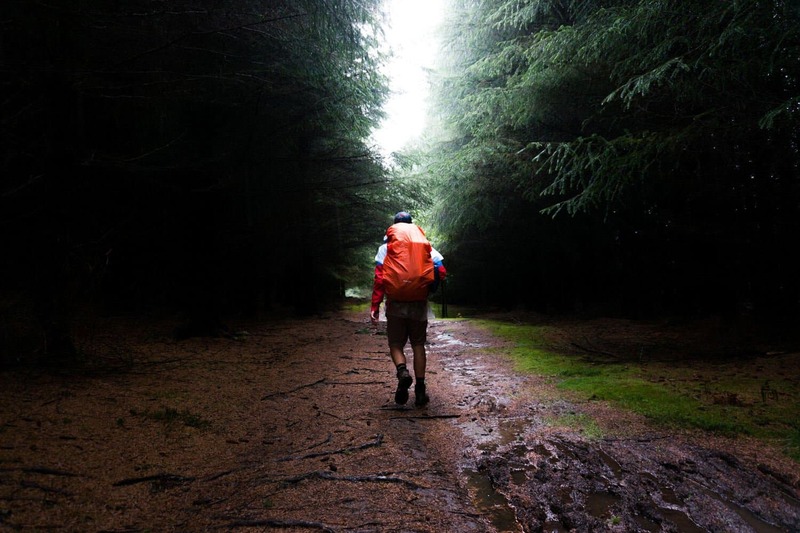 Therefore, you can safely go on a hike or multi-day excursion without fear of losing your bearings. 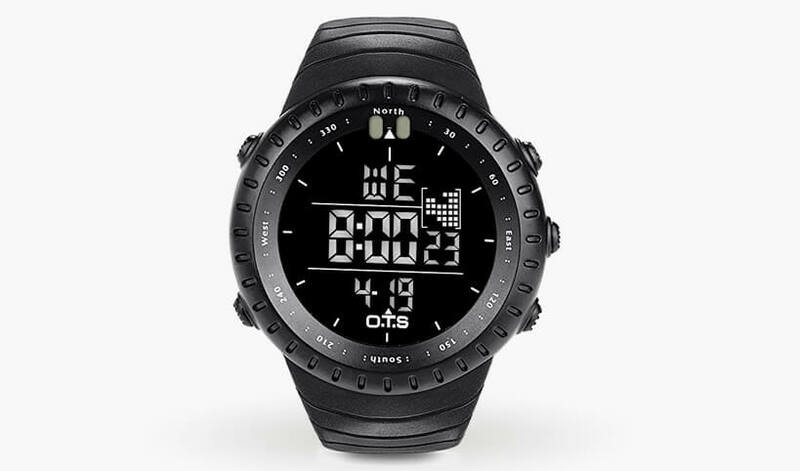 This tactical watch by Suunto comes with a lot of bells and whistles including an altimeter, weather and barometer trend graph, current temperature, compass, along with the ability to view the sunrise and sunset times in 400 different locations around the world. The face of the Suunto Core is finely crafted from mineral crystal and should withstand rugged conditions. Compared to other watches on this list, the water resistance rating is relatively shallow at 30M. To provide an extra peace of mind, the Suunto Core is backed by a 2-year warranty. From Switzerland comes this finely crafted tactical watch by Traser. While absent of the many features that some of the tactical watches have on this list (i.e. altimeter, barometer, temperature, sunrise/set, etc.) this watch doubles not only as a tactical watch, but is incredibly good looking as well. With its doubles-striped bright neon lines on the band, this watch is incredibly well made. First and foremost, the glass of the watch is sapphire, which as we covered earlier, is the hardest mineral next to diamond and moissanite. Therefore, if you plan on being in a rough environment, this watch should withstand the toughest conditions. Beneath the beautifully crafted glass you will find a face that contains tritium. This will ensure that the watch face will always be brightly visible when in dark environments for an extended period. While the price of this watch may be a bit too commanding for some, it’s important to remember that this was made in Switzerland and is considered to be among the best tactical watches on the market. The Traser 105542 also is protected with a 3-year warranty when you register the product on their website. 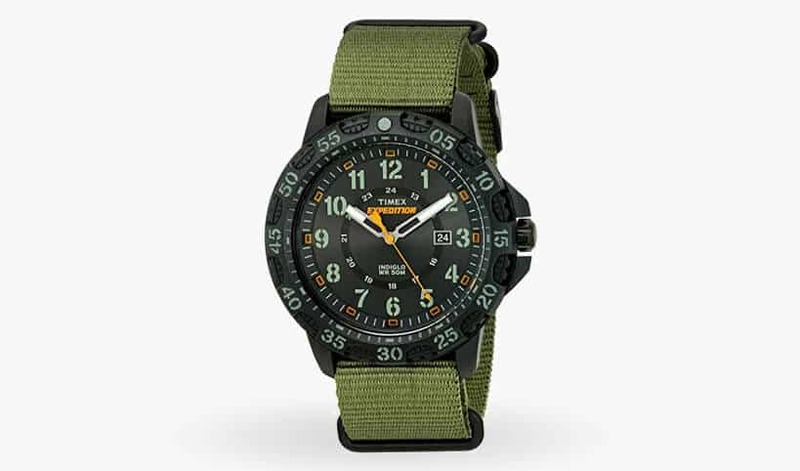 One of the best budget friendly tactical watches on the market will be this Timex Men’s Intelligent watch. Coming in black or silver-toned options, this Timex watch has some great mechanical based features for the price point. First and foremost, like many of the Timex watches on the market, it features a INDIGO backed night-light for incredibly easy viewing at any hour. The oversized face packs in not only the time, but also the current day of the week along with temperature and tides. Therefore, when out on the surf you can get an accurate reading on when the tide should be expected to pass. While not a specific divers watch, the resistance on the Timex Intelligent is rated at 100M (330 FT). Another feature that many hikers will adore is that it comes equipped with a built-in compass in order to keep your bearings straight for the duration of your hike. The cover of the watch is constructed of mineral crystal which will be resilient to most scratches that the everyday man will likely encounter. Secondly, on the backside of this watch, it is a snap back design making for easy battery removal when needed. 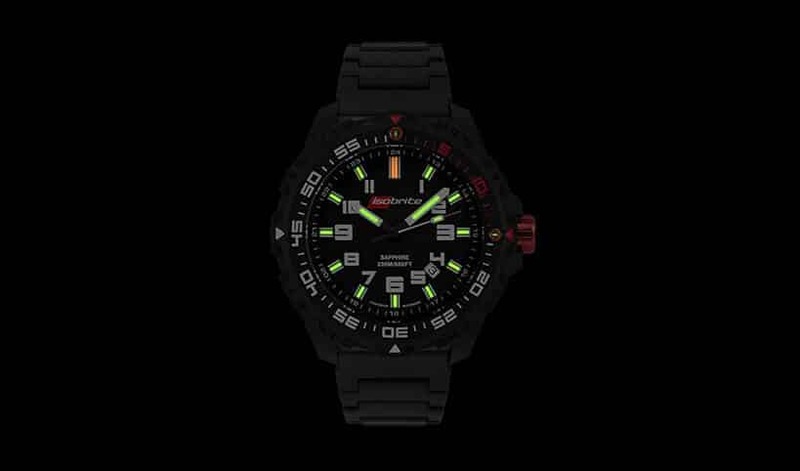 The ISOBrite T100 Valor, is by and far one of the brightest tactical watches on this list. 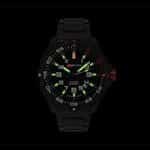 Packed with four times the amount of tritium than other watches, the watch face will be incredibly vibrant, and should retain its glow for approximately 50 years. With this extremely bright watch, there is absolutely no need to ever worry about toggling a light switch or subjecting the watch to a light source before going into a dark environment. Beyond its incredibly bright face, the watch itself just contains the absolute basics. Nestled between the 4 & 5 on the face you will find a date indicator. The glass that protects the face is constructed from sapphire, further ensuring its long-term performance. When it comes to water resistance, the ISOBrite is in line with its peers, with a rating of 200M. Expect to change the battery on this specific watch about once every 10 years through the screw-back access area. Warranty from ISOBrite is for 2 years from the date of purchase. 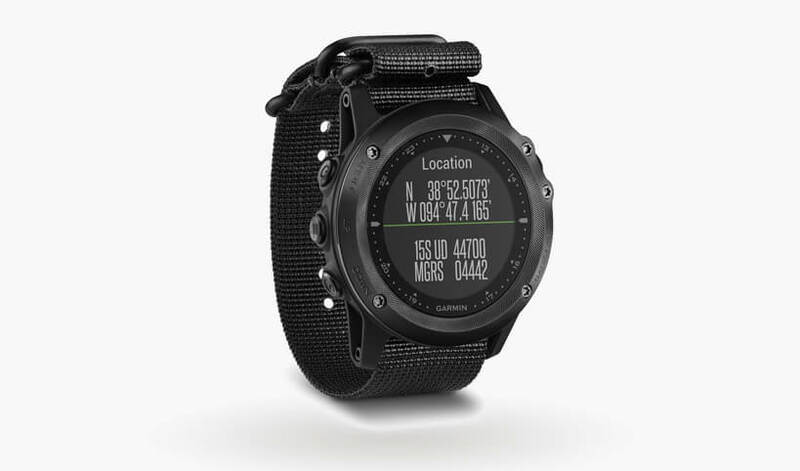 This uncompromising tactical watch by Garmin is what all other tactical watches on this list likely aspire to be. This is hands down one of the best tactical watches on the market for so many reasons. 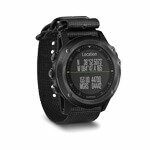 While many may know Garmin for their dashboard GPS units, when it comes to watches, the tactix Bravo is incredible. Much ‘smarter’ per say than some of the other more popular smart watches on the market, this tactical watch can keep track of just about anything imaginable. 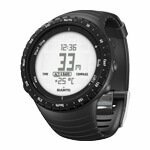 Whether you need to get your current Longitude or Latitude through its built-in GPS or your current elevation with the on-board altimeter, you will feel safe when in the deep backcountry with this watch. In fact, one of the highly touted features is its navigation ability. Allowing you to set waypoints along your journey, you will be able to safely find your way back to your basecamp. Beyond navigation, the tactix Bravo also allows you to track exercise stats and even physiological metrics. For further personalization, with its high resolution digital display, you can change out the watch faces to suit your preferences. You would think with all these features the watch would need to be charged daily like other popular smart watches, right? 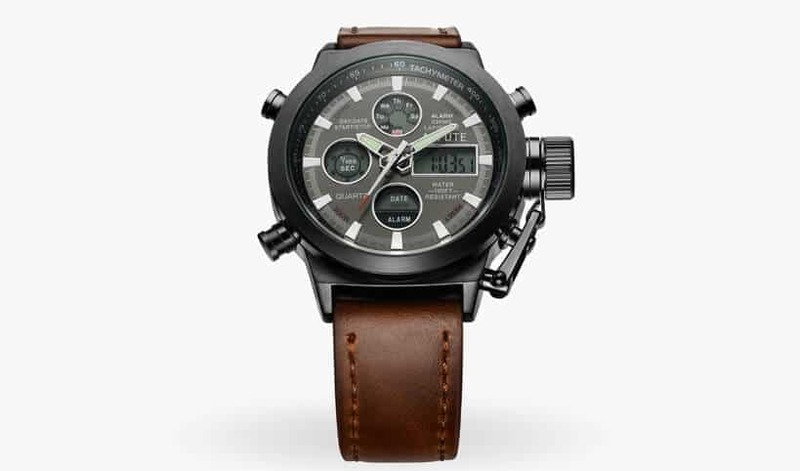 On a single charge, this tactical watch will last up to 6 weeks in watch mode (shorter if you use the navigation features). To make sure everything stays safe, the glass on this watch is made of sapphire for added protection. Lastly, this the tactix Bravo is backed by a 1 year warranty. 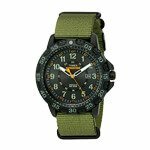 A terrific entry level tactical watch for the beginners on a budget, the Timex Men’s Expedition Gallatin watch will exude a more rugged look. Great for novice hikers and outdoorsman, the watch face is crafted from acrylic which is susceptible to scratching, but suitable for light activity. It’s Army green band will pair nicely with casual clothes for weekday and weekend wear. While many of the other watches on our list are over 2oz, the Timex Expedition weighs in at an incredibly light 1.44oz. 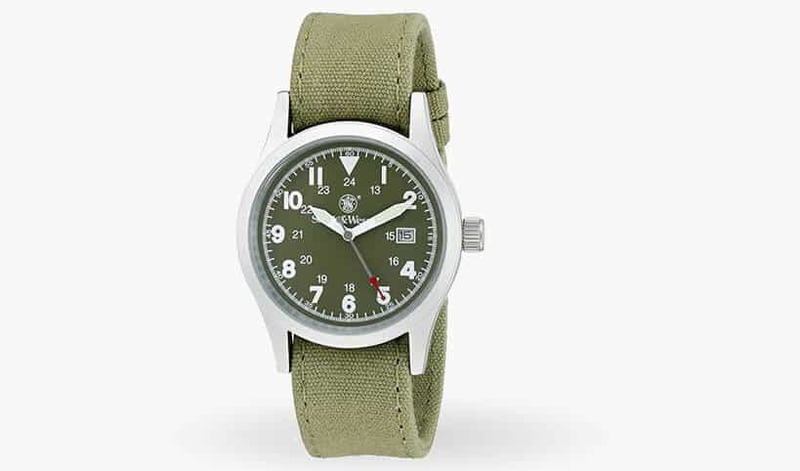 If you are craving the tactical look, then this simple watch by Timex should work out great! 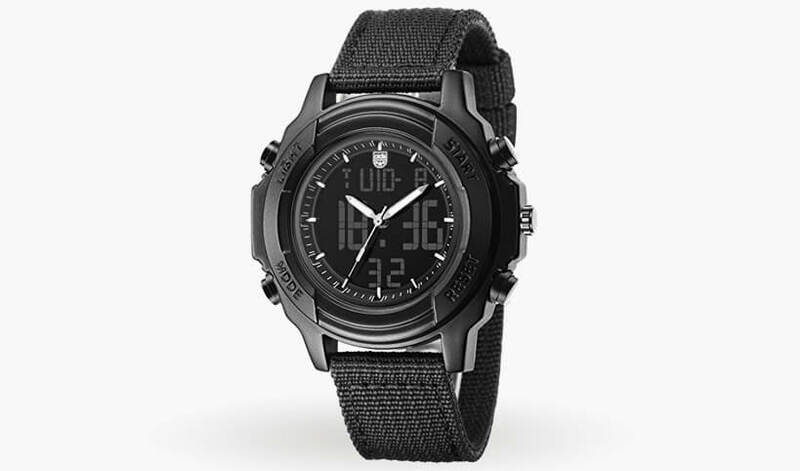 Below is a list of budget friendly tactical watches that may not have all the bells and whistles of a few of the watches listed above, but will still be able to serve as great time pieces while retaining the tactical look that you are going for. This digital watch by O.T.S., rated at 50M will be a terrific watch when taking laps in your pool. With its 5ATM waterproof, freeze, shock, and dust proof casing, the inners of this watch should be safely protected against the harshest of elements. For the price, this watch packs a ton of features including alarm, stopwatch, noctilucent, calendar, week, and 12/24 formats. Making for a great gift for the tactical man, it’s a terrific budget watch that should wear well. 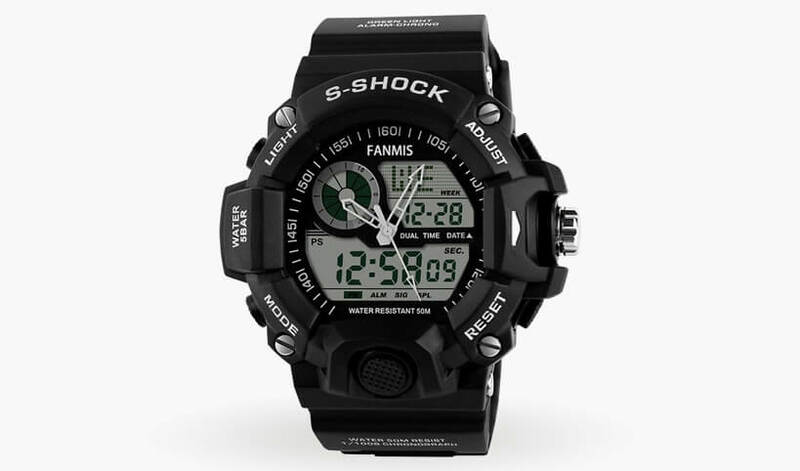 Nearly information overload (in a good way), this tactical watch by Fanmis is terrific for men who are looking to dip their toes in the tactical watch realm. 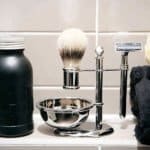 With its sub $20 price tag, it will easily fit into any man’s budget. Given the low price point, you would expect a watch of this caliber to be handicapped on features, however, the opposite is true. Beyond its analog and digital time format support, this watch also features a LED back light and day and date tracking. 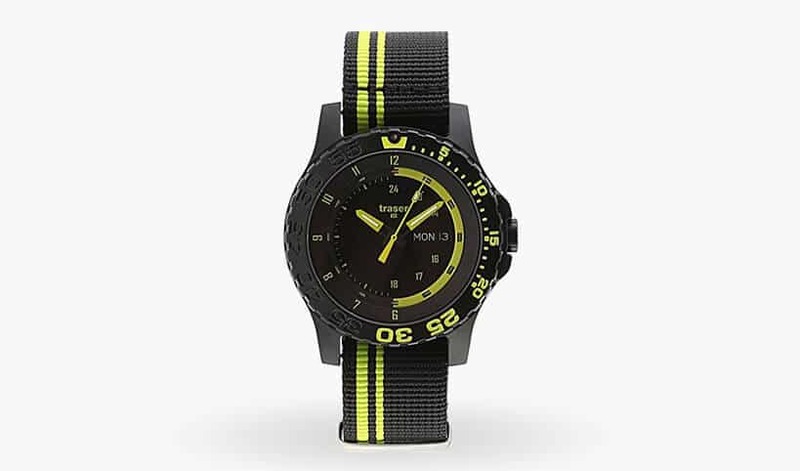 This tactical watch has been rated at 50M water resistance. This battery operated, multifunctional, tactical watch by AIDIS will be incredibly easy to use with its oversized digital and analog face. 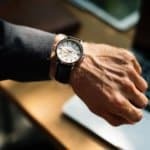 Containing both a day and date functionality, you will always be aware of the time with just a glance. 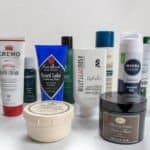 This is great for men the casual man that experiences light water exposure (i.e. fishing, kayaking, etc.). What’s most incredible about a watch at this price point (sub $50) is that it does contain a mineral crystal face. 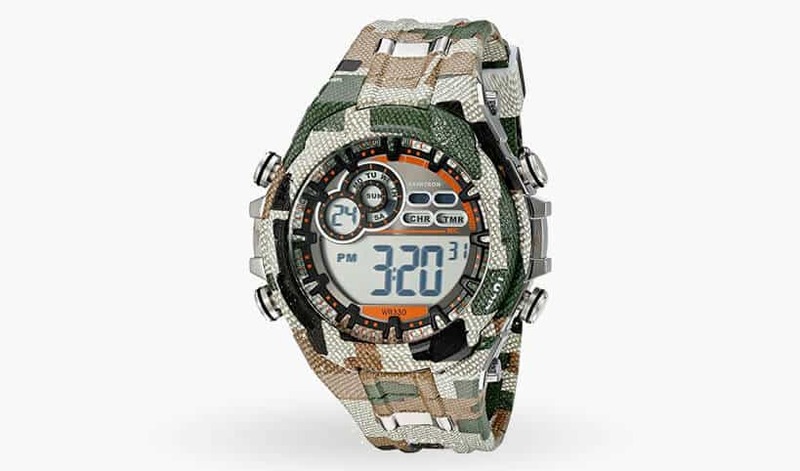 Marked in camouflage colors, this rugged wristwatch by Armitron will be perfect for outdoorsman and hunters alike. Featuring multiple displays to clearly display information to you, this watch will help to keep track not only of the time, but also the day of the week, current day, along with doubling as a chronograph. Tested to be water resistant for up to 100M, you can safely use this watch for light watersports like swimming and snorkeling. This extremely affordable tactical watch by Aposon, is remarkably versatile given the price point. Doubling not only as a watch, but on the face you can see there is an inset digital clock as well for separate time zones. 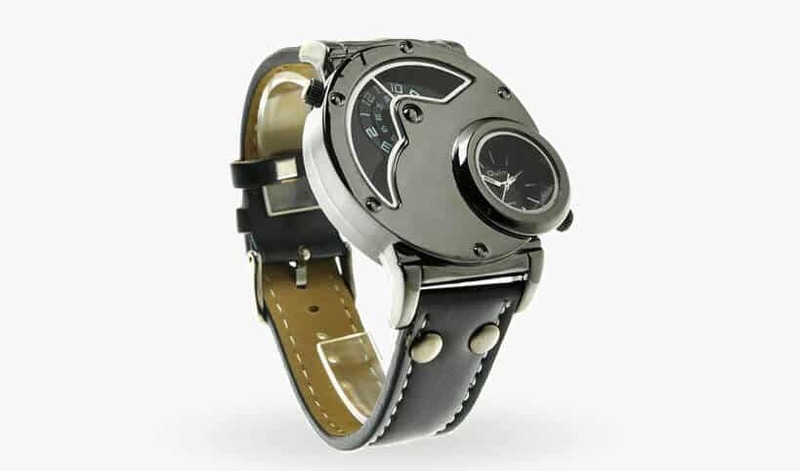 Beyond the dual face watch, you are also able to use the Aposon as a stopwatch and alarm. The Aposon’s incredibly bright LED back lit digits make this incredibly easy to see in the dark. This watch is at the intersection of style and ruggedness. With its beautifully crafted leather band, other men will instantly take notice of this watch (and never know it holds a sub $25 price tag). Another great feature to this watch is its ability to track not only the day, but the day of the week as well. Secondly, the Afflute’s stopwatch functionality rivals higher end models by tracking down to 1/100. An incredibly versatile watch for the price. 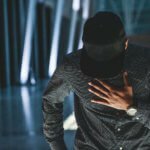 One of the most unique tactical watches on this list is without a doubt the Aviator watch by Oulm. With its metal plated watch face with two windows into two times zones is perfect for the man who wants to get a watch that nobody has ever seen before. Beyond its incredibly distinctive watch face, the band for the Aviator watch is crafted of leather, making it great for long term wear and likely getting better with age. Lastly, this watch is rated at a water resistance of 30M. Known primarily for their handguns, Smith & Wesson knows a thing or two about ruggedness. 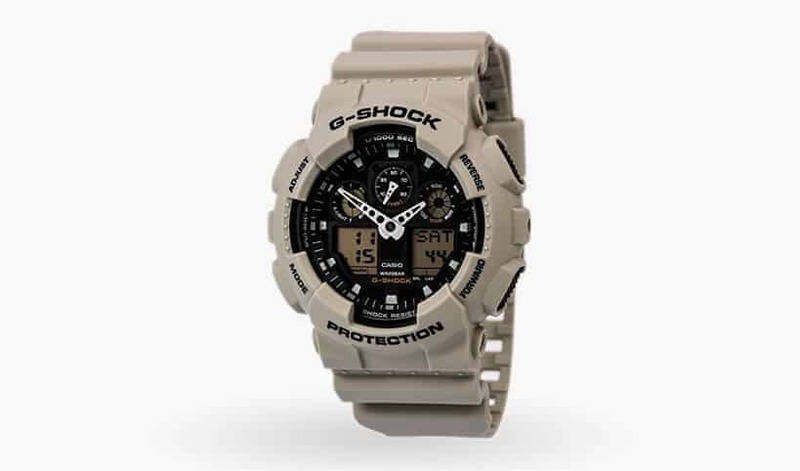 This expertly crafted tactical watch walks a fine line between styleish tones while evoking an old GI sense. The band of this watch is made from canvas, making it great for the animal conscious men out there. It’s simple face just featuring a 12/24 clock along with the current day is truly a no frills design. 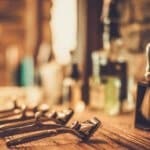 Great for the minimalist man.